Today I visited the local arcade called "Pelibunkkeri." My fiancée went to play laser tag with her classmates and that arcade is in the same place so I spent 20 minutes playing some arcade games. I just had to pay 5€ to play all these games as much as I wanted, so the pricing wasn't bad at all. There was also ice hockey tables etc. but those are obviously multiplayer games and I was alone there, so I just settled with the arcade games. Unfortunately I didn't have much time to get properly into the games so this post will be a bit brief. Also sorry about the image quality, I used my phone camera since that's all I have and the lighting in there was really bad for photos. 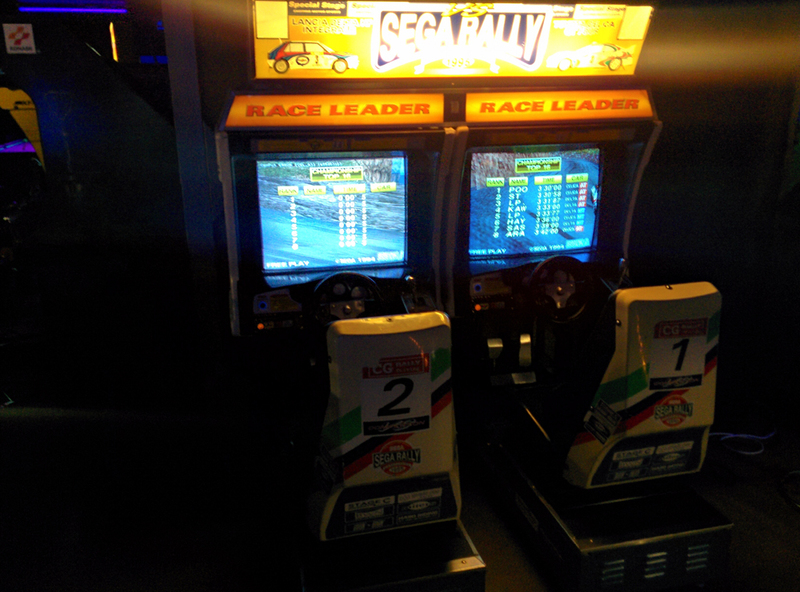 First I played Sega Rally! I barely could fit into the racing seat because I'm 191 cm tall and these machines are clearly made for smaller people, but I managed to play it just fine. Really fun game, the steering wheel really fights back when you turn your car. There was something going on with the graphics though, the 2D images like your time and speed dial suddenly broke and were all weird and blocky. Besides that the game worked just fine and it was a blast! After that I tried some shooter game called Warzaid. It's a game about WW2 soldiers shooting zombies and skeletons or something like that, I didn't really get the plot. But who cares about a plot when you can shoot zombies with light guns! First I just played it in normal single player mode with one gun, but then I decided to try playing as two players, so I went akimbo with the light guns. It was actually easier to play that way since I could just spam both of the guns and zombies kept dying on the screen. Warzaid was the game I enjoyed the most at the arcade. 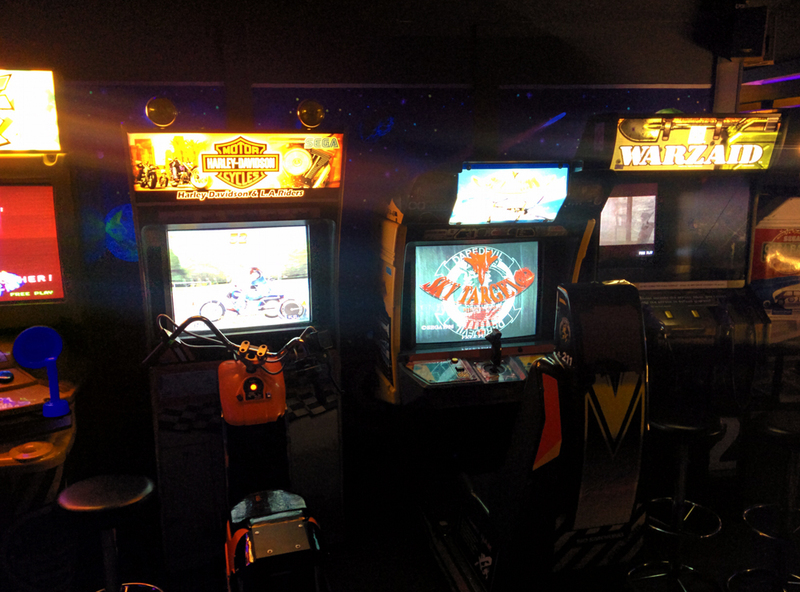 Next to it was two games, Harley Davidson L.A. Riders and Sky Targets. Sky Targets is a game about flying a fighter jet and shooting down other planes and huge boss planes, so it was really cool looking. I didn't really enjoy playing it though, the joystick was quite stiff (I know what you're thinking) and it was hard to aim at the enemy planes. It just felt.. Floaty and odd. It's not a bad game though, I would probably like it more if I had more time to play and practice. L.A. Riders was a really fun motorcycle game where you cruise around L.A. trying to reach checkpoints in time, while destroying the city property like a "Bad Boy." Honestly, that's what the game called me after choosing my character. :D The controls felt a bit floaty here too, the bike could turn a bit faster but overall it was really great to play and the music was top notch. Next to those three there was one more game called Panic Park. I didn't really get to play it since I played it quickly before leaving, but it seemed to be game about running through stages and avoiding obstacles. Controls were really different from others, it was a joystick that you rotated to left and right. 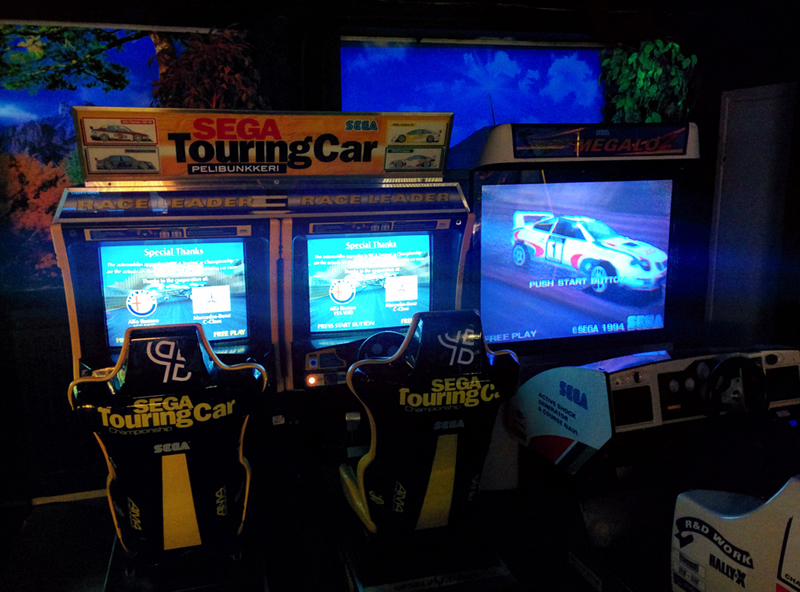 On the other side of the room they had Sega Touring Car and Sega Racer (even the cabinet says "Megalo") just in a bigger screen, probably for taller people like me. 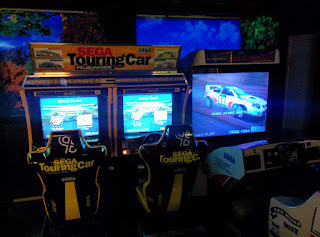 Sega Touring Car was a really fun game aswell but I couldn't fit in the chair at all so it was really difficult to play, sadly. It was a lot like Sega Racer but had two different cars and different maps, plus some great eurobeat playing on the background. I would've enjoyed it a lot more if I could've fit in the seat, but #tallpeopleproblems. Last but not least, I played good ol' Speedtester. 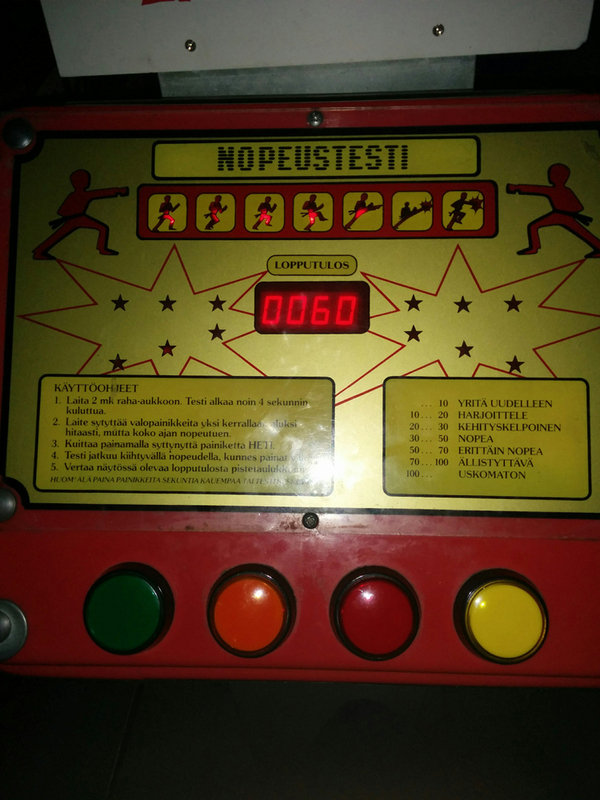 This was very popular in Finland since there was a TV show called Speden Spelit where famous Finnish people would play different kind of games, including Speedtester. It's a very quick game to play which makes it very addicting. 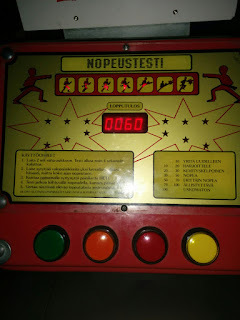 Best score I could do was 60, but with a bit of a practice I'm sure I could get over 100. :) I love how the machine is still talking about MK in the instructions, MK is the old Finnish Markka which we used until we switched to euros in January 2002, so it was quite a blast from the past. All in all, it was a fun place to visit. 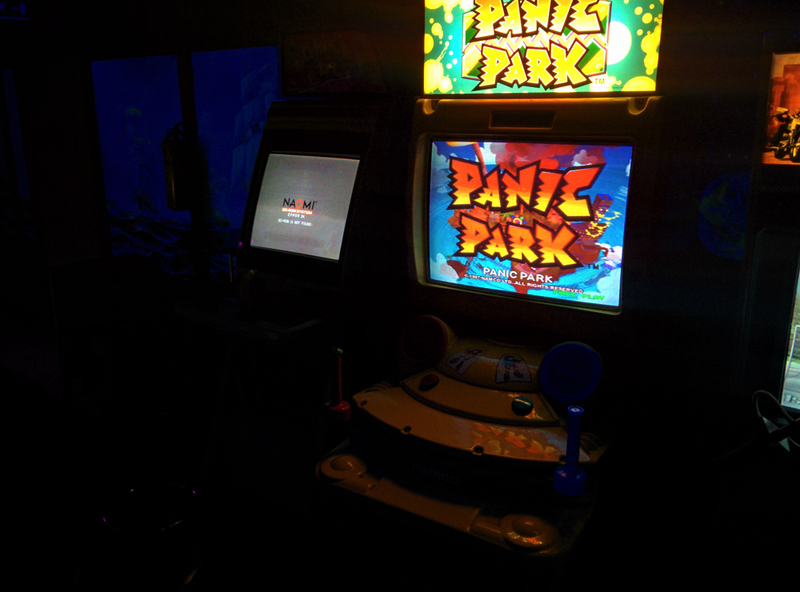 Unfortunately these days arcade machines are hard to find anywhere so I rarely get to play them. I'm sure I'll visit the place again and hopefully have more time to play everything.